Core scripture: “Patient endurance is what you need now, so that you will continue to do God’s will. Then you will receive all that he has promised” (Hebrews 10:36). Message: I almost feel like we could end this blog with that scripture above. Mic drop! This is the time of year that I need that patient endurance to survive. Most kids have checked out. Behavior is at its peak of immaturity. And there we are, Christian teachers, trying to push the kids to success the last week before Christmas Break. What is a teacher to do? How do we survive without completely throwing in the towel? For a model of leadership, I look to a real life character my class just read about in Linda Sue Park’s novel A Long Walk to Water. His name is Salva Dut. Salva, a former refugee from Sudan, found himself leading 1,500 boys through the Akobo Desert. In chapter 13 we see how his effective leadership pushed these so called Lost Boys of Sudan through scorching heat, famine, and exhaustion. His first tactic was to encourage. Paul reminds us, “Therefore encourage one another and build one another up, just as you are doing” (1 Thessalonians 5:11). The Christian teacher should do likewise! Be positive. Crouch down next to your kids and inspire them with words of wisdom. Praise successes, and do NOT give up on even your most stubborn learners. Those stubborn ones need the most TLC, don’t they? Sometimes encouraging will only get you so far. That is when Salva switched his tactics to laughing and joking with them. Students love to see you let your guard down. Humor can break through to that stubborn kid that just isn’t on board. Solomon speaks truth when he says that there is indeed “a time to laugh” (Ecclesiastes 3:4). Find those times! Have a little fun. The kids have SO much unused energy bubbling inside them that a physical activity to get them up and moving would make the most sense. This could work wonders, or yes, it could indeed backfire as well. Hence, we arrive at Salva’s last piece of advice in leadership, and that is to crack that whip. He leaves this as a last resort if all else fails and didn’t do it often. If your students are not responding to encouragement or humor, it might be time to get stern. How do we do this? Plenty of ways. You can pull out “the look.” You can grab their attention by raising the tone of your voice. I, however, find the most powerful way to get through is actually in lowering my voice to a serious tone that demands respect. Try it, and watch your student leaders around you assist you because they will get the message loud and clear. So, there you have it! Three unique, effective leadership methods that will make your last week of teaching before Christmas Break a little more peaceful. 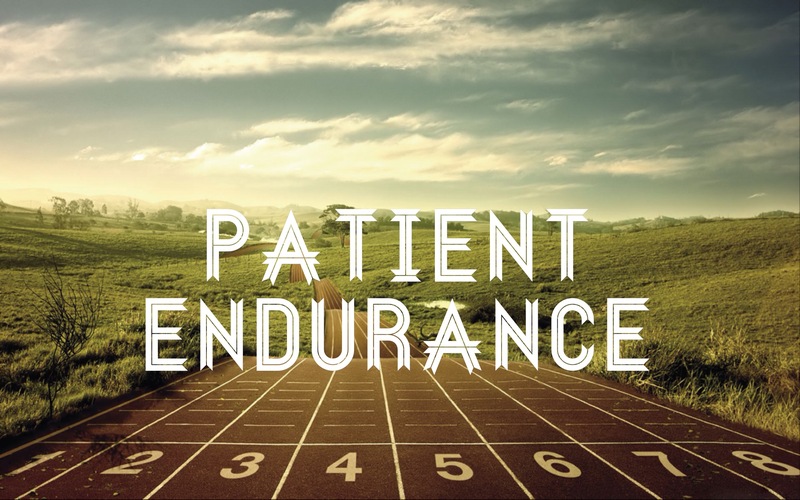 Let that patient endurance flow through your every action just as the prophets of the Old Testament waited hundreds of years patiently for the Christ child to be born (and you thought YOU needed patience!). The light is at the end of the tunnel, my friends. Let God be your guide to endure this final week of madness. So long as His Word is in your heart, He will provide you with peace and sanity. Challenge: Try to think of one fun activity for your students that would help get energy out. I am planning an all-out paper wad fight on the last day before Christmas Break to simulate the Nuer and Dinka tribal war in A Long Walk to Water in our school’s weight room. Shhh! Don’t tell my kids! It’s going to be a secret. Cinema application: Would you like to be inspired by a football story you more than likely have never heard of before? Watch the movie Greater, the story of Brandon Burlsworth. Burlsworth needed patient endurance through his entire football career. Just don’t Google his name before watching the movie like I did and ruin the ending! Bible story: Need a Bible story that epitomizes patient endurance? Look no further than Genesis 37, the story of Joseph’s dream. How could this tragedy ruin someone? How did Joseph react? Would you have reacted the same way? Prayer: Lord, give me patience with my students over the last week before Christmas Break. Let my words encourage them to finish strong. Amen.